Made from premium organic, gluten-free oat bran and contains heart-healthy fiber and cholesterol-lowering, non-GMO sourced phytosterols. Includes a copy of Andrew & Muriel's new "Oat"standing Recipe Cookbook. ULTIMATE OAT BRAN is the first cholesterol-reducing cereal of its kind. It combines Mother Nature’s #1 cholesterol-lowering food (Oats) with her most powerful cholesterol-reducing ingredient (Plant Sterols). Oats have long been respected for their ability to lower cholesterol and Plant Sterols have been clinically proven to reduce total and LDL cholesterol levels. 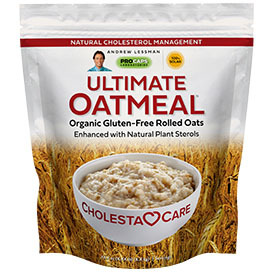 The US Government has approved health claims for both Oats and Plant Sterols to naturally lower cholesterol and help reduce the risk of heart disease. ULTIMATE OAT BRAN is a delicious, heart-healthy cereal that delivers far greater cholesterol-reducing power than ordinary oat bran. ULTIMATE OAT BRAN is both Organic and Gluten- Free. This might seem like an ordinary statement, since all oats are "naturally" Gluten-Free, but surprisingly, almost NO American oats are Gluten- Free. Because our agricultural system is so overrun by wheat, ordinary oats are contaminated by Gluten and are therefore not Gluten-Free. Even if you find Organic oats, they will rarely be Gluten- Free. Similarly, if you can find Gluten-Free oats, in most cases, they will not be Organic. Only a tiny percentage of oats in America are both Organic and Gluten-Free. Of course, since all of our products are Gluten-Free, we only use those rare Organic and Gluten-Free Oats in our ULTIMATE OAT BRAN. Oats have been consumed for centuries and their popularity has grown in recent years due to their heart-healthy, cholesterol-lowering benefits. Oats are filling and nutrient-rich, yet low in calories, so they are ideal for weight-loss. Plus, because oats are both sodium-free and sugar-free, they also support healthy blood pressure and blood sugar levels. Oat bran, more than any other form of oats, is particularly high in a unique, water-soluble fiber called beta-glucan, which is the secret behind its cholesterol-lowering power. The typical "American" diet increases cholesterol levels, and with it, the risk of heart disease. As a result, millions of Americans must take cholesterol-lowering drugs with their long list of harmful side effects. If you and your physician are seeking a natural tool to lower cholesterol, ULTIMATE OAT BRAN is the perfect solution. We combine heart-healthy Oats with cholesterol-lowering Plant Sterols. 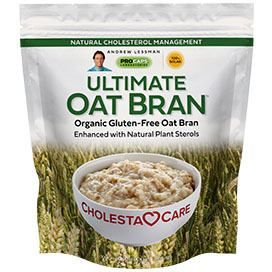 In fact, the 800 mg of Plant Sterols in just ¼ cup of ULTIMATE OAT BRAN is all you need to transform your cholesterol levels. According to the US Food and Drug Administration, consuming at least 400 mg of Plant Sterols twice daily with meals for a daily total intake of at least 800 mg, as part of a healthy diet low in saturated fat and cholesterol, may reduce the risk of heart disease - each ¼ cup of our ULTIMATE OAT BRAN supplies 800 milligrams of Plant Sterols. Plus, our ULTIMATE OAT BRAN is also a natural source of soluble fiber, including beta-glucan (at least 2 grams per ¼ cup) that may also reduce the risk of heart disease as part of that healthy diet. I am in love with Ultimate Oat Bran because it is a filling, tasty breakfast that is easy on the stomach. My favorite way to prepare Ultimate Oat Bran is as overnight oats; then in the morning I add yogurt and a scoop of Ultimate Whey Protein Isolate. For years I tried every gluten free oat bran and gluten oat meal that promised to be safe for those with gluten intolerances and I never found anything that felt safe. I'm so glad I found Andrew Lessman's oat bran and oat meal...Both are delicious, both I totally trust and as much as I've gone through 2 containers of oatmeal, I am now focusing mostly on the oat bran for breakfast every day because it's awesome pooping material. 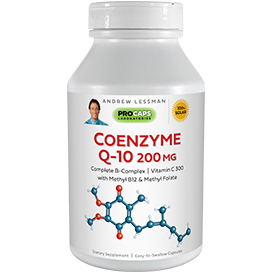 I was always constipated and after just one breakfast of eating a bowl of oat bran, I was no longer having a problem. It must be the high fiber or the perfect combination of soluble to insoluble fiber, but this just works for me and I've become reluctant to go a day without eating oat bran....I've figured out how to make low carb oat bran muffins..which is my other way to include oat bran if for some reason I eat something else for breakfast other than cereal...Just so happy to have found safe oats that work so well for constipation...It's better than anything I've ever tried. And oats are awesome. I've always loved them...just could never tolerate them, until now! THE BEST OAT BRAN EVERY! I DON'T HAVE TIME IN THE MORNING TO BOIL WATER AND SIMMER OAT BRAN, THIS CAN BE MADE IN THE MICROWAVE JUST LIKE MIN. OATS! I love the taste of the Oat Bran and the Oatmeal. I usually do not like eating in the morning and I always feel better after eating either the oat bran or oatmeal. Never has a heavy feeling, great mood pick up. Good for a snack anytime, even at night. Tastes even better than the oatmeal I had as a child in the forties. Like it with almond or cashew milk, and real honey, with fruit and yogurt. Love the recipe book ! Thanks Andrew and Muriel. I never liked bran before. But I love this one. I put some in a tiny bowl and take it to work. Then I add hot water from the water dispenser and I cover it and let it sit for a while. It thickens up nicely in 5 minutes. Then I remove the cover and add a little honey and eat it. Makes a great, quick, easy lunch for me. It tastes great! The recipes in the book that comes with it are fantastic! My book is a mess due to all the use it has gotten (ingredients are all over it)... the Chocolate Chip Oatmeal cookies are the best. I make those at least every-other week. I highly recommend both the bran and oatmeal. I love the quality, flavor and texture of the Ultimate Oat Bran. It is very creamy and delicious. I will recommend tripling the liquid, instead of doubling for an even creamier oat bran. For example I use 1/2 cup Ultimate Oat Bran, 1 1/2 cups of 100% organic non-gmo soy milk and one or two tablespoons of 100% organic amber robust maple syrup from Vermont = a delicious, healthy, super creamy, wonderful way to start your day. 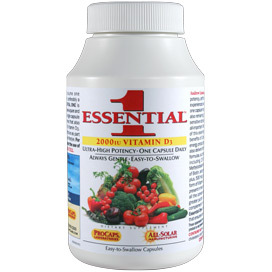 Thank you Andrew and Muriel for this great product and the free cookbook is wonderful. 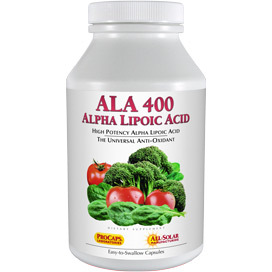 I just received this product and I loved it. I have never had bran like this before and was surprised at the fine texture and the taste was delicious. I love the cookbook included as well, I will try some of the recipes. 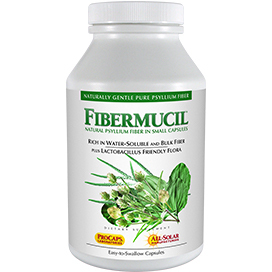 I love knowing how good and clean this product is for me. Now that I know I love it, I will purchase the big tub. Thank you Andrew for another great product. I was one of the fortunate few who got their (2 jugs) ultimate Oat Bran the week following the live Colorado broadcast. When I opened the jug, the smell of fresh oats was overwhelming. The taste is even better than the other so called organic oats. I have a Hot Shot that I can heat water so I just pour the hot water over my 1/4 to 1/2 cup of oats and they are ready to eat just like instant oatmeal. No boiling of water is necessary if you have such an appliance. I also add stevia for sweetness and cinnamon as well. As for the cookbook, just like all of the other ones (I have them all), the recipes are easy to follow and of course, quite healthy. Andrew and Muriel you are both the best. Of course Lincoln is right up there with the two of you. Best to all of you. 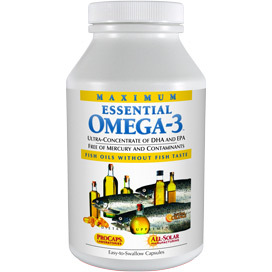 Ingredients: Organic Gluten-Free Oat Bran enhanced with Natural Plant Sterols.